How does the brain form and justify a belief system? And how do we separate belief from reality? Psychologist and science historian Michael Shermer delves into this topic, basing his theses on over thirty years of research findings. 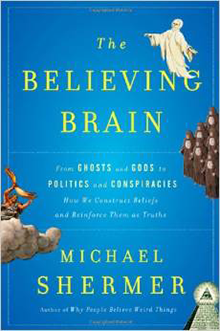 With examples ranging from politics to economics, from religion to the paranormal, Shermer deftly demonstrates how and why your brain creates belief systems so readily—and how science can evaluate beliefs to see how well they match up with reality.